So today I was thinking about writing a blog post and got a little stuck. Yes, there were about a million things I could write about, but I wanted to write a post that would resonate with my audience AND attract new readers to my site by it’s amazing content and style. Not too much to ask from one little blog post is it? So then I thought about some of my blog traffic and how two of my posts were getting LOTS of traffic from Pinterest. Whoo whoo. Simple then, just write a post that Pinterest will fall in love with and I am good. Wah, wah, wah. OF COURSE I want every post to be popular on Pinterest, but could I make a post that would be popular on purpose? What Are My Popular Pins On Pinterest? 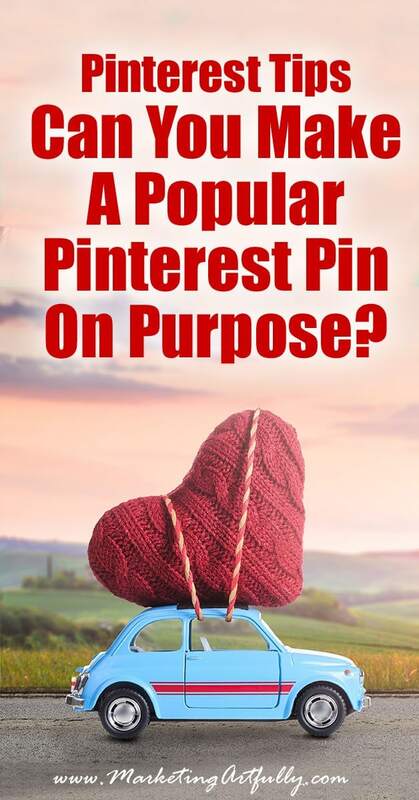 I can tell you that having a “popular pin” on Pinterest is great for generating traffic. Two of my pins get me about 60% of all the traffic I get from Pinterest. As you can see, that amounts to a little more 3,500 hits a month. Sweet! But I want to make that number even higher so I need to make sure that this post is going to “popular” with the Pinterest crowd if it has any chance of getting seen. So let’s figure out what makes a post popular on Pinterest. I did a search on Pinterest for “writing blog posts” and these are a few of things that I found…. First off, there is a bar at the top that offers additional ways to sort and sift posts. Some of things that they recommend are “ideas, tips, make money, people, social media, articles” etc. Hmmmm so it might be good to make a post that fits into one of those categories… but how does Pinterest quantify that? 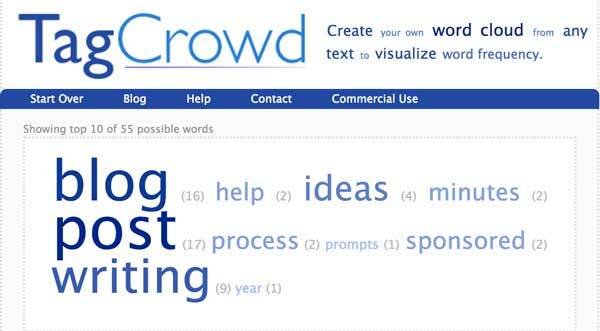 I get blog, post and writing… but I was SHOCKED at how few times ideas was actually in the mix. In fact, one post has ideas three times so there are only 2 out of 10 with ideas in there at all….sigh. Does A Post Have To Be Popular To Get Popular? So maybe we should do another search and see what happens as far as popularity. So I did another search for “Etsy Tips”. * INTERESTING… these 4 pins were from different publishers but were all on the board “Everyday Etsy Selling Tips” which has 19.2 followers. So another thing I figured out there was all these tips about “following 100 people and then unfollow them after they follow you” nonsense is crazy. NONE of the pins I saw came from people I followed so they were not getting a boost because we were connected. More so I found that the BOARDS the posts were on was a way that Etsy was cheating to grab a bunch of like pins all at once….double interesting. What Do Popular Pinterest Pins Look Like? Okay, so let’s stop and take a second to look back and see which of my pins are popular and what they look like! I consider popular pins to be ones that drive traffic to my website, not ones that have lots of pins because they are cool (although I am sure those help my Pinterest efforts overall). For example, I have a few pins on “fun animals” board that have thousands of repins, but those don’t help my site. As you can see, the 100 Ways To Make Money really took off, which is GREAT! But #2, #3 and #5 are intriguing. 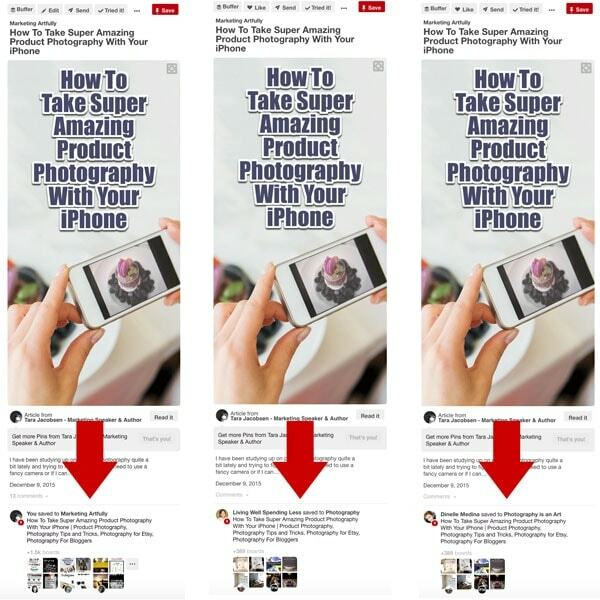 Those are all the same post, but showing up in Pinterest stats as different pins. So Pinterest is counting each of these pins as a different “stream” of sharing. My original pin still is doing the most work, driving 1,762 clicks BUT the other two pins are drove 436 clicks which is nothing to sneeze at. It is the number of “SAVES” that my pin has which blows theirs out of the water. So what does that tell us class? I think it means that we should encourage OTHER people to share posts from our websites. Okay, so now we know a couple of things that work, having OTHER people pin our pins from our website and having popular boards (more about this later). Make sure you have “pinnable” long pins on your website. Here is a post that can help with that… Pinterest Marketing Fails – How Bloggers Are Screwing Up With Tiny Little Pictures. I have sent this out to two of my favorite bloggers in the last week! I am going to specifically ask my email list to pin the graphic from this post. BOLD I know, but what if it works? I am going to specifically as my social media people to “save it for later” on their Pinterest boards. 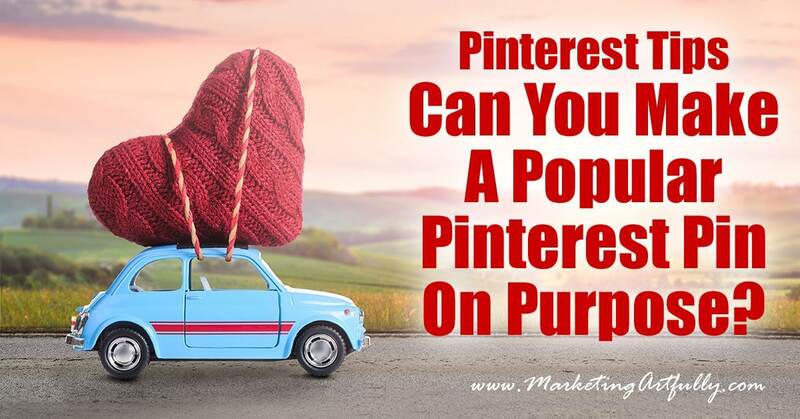 Here is the message I am going to post… Can You Make A Popular Pinterest Pin On Purpose? … Make sure to save to Pinterest to read later! It is amazing what people will do if you just ask them! I only belong to a couple of “group boards” but will make sure to share my pin to those. None of the huge “mega boards” showed up in my searching today, but every little bit might help! Now, there are MANY ways you can collaborate with other people (might be worth getting a relationship going with a board owner that shares a lot of what you write about), but I am more focused on what I can control. What If We Get Our BOARDS Popular? So the last thing that I want to work on is getting my boards popular. Again, it seemed like Pinterest cheated a little and just used the curated content from one gal’s board to generate 4 out of 10 of the posts that they suggested to me. What comes to mind for this is that I could have main boards (Etsy Marketing) and then sub boards that match the categories that Pinterest uses (Etsy Marketing Social Media). This way I could be one of those of boards that come up in search and have shares from my site on there in addition to other great relevant content. I was planning on working on my Etsy pins before doing this research, but it really seems like working on my BOARDS is going to provide the most bang for my buck! Okay, I lied, I am not quite done. We all have nerdy friends who are especially good at Pinterest. Yes, they are probably on my email list, but I will be reaching out to them PERSONALLY to see if they would be willing to share this post on their own email accounts. I will be using Gmail instead of my goliath email program and will include a message from me personally with this ask. I can’t do this with every post, but I am sure that an occasional ask would not make any of them mad at me. They are my friends after all!